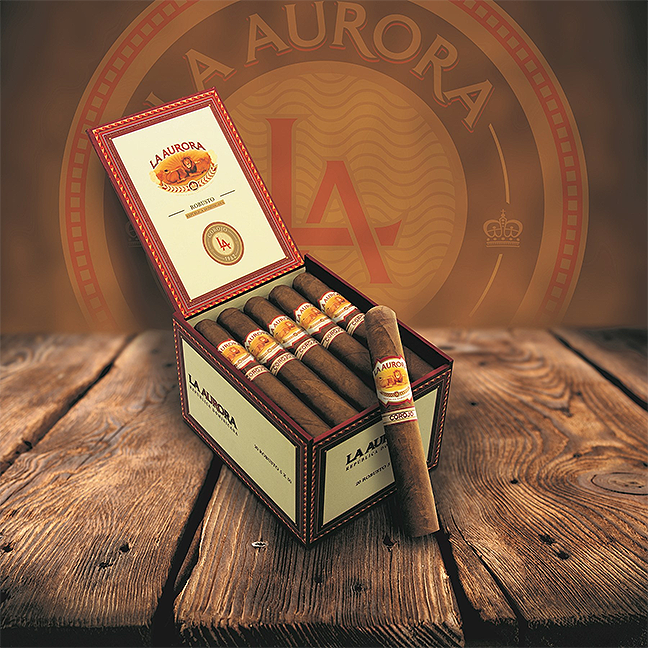 La Aurora 1987 Connecticut | Chicago's Pipe, Cigar & Tobacco Store | Iwan Ries & Co.
La Aurora 1987 cigars are so named as an homage to the year La Aurora Cigars first began using Connecticut shade wrapper on their premium cigars. At the heart of this affordably-priced cigar lies a Dominican binder that ties together a well-balanced mix of Nicaraguan and Cibao Valley-grown Dominican long-fillers. The result is a mild to medium-bodied smoke with an impressive amount of flavor and complexity. Creamy on the mouthfeel, the smoke issues notes of earth, cedar, coffee on a nutty-peppery finish with a hint of citrus.